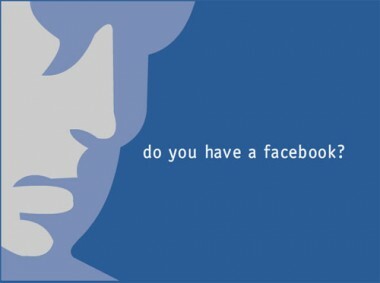 The popularity of social networking websites, in particular Facebook.com, has picked up much steam recently. I must admit, I was an early Facebook adopter and enthusiast. I’ve witnessed the website evolve from a very simple archetype with only one tiny profile pic for each person who had a college/university verified email to a site open to anyone and everyone, with unlimited photo storage and the recent addition of various “applications”. It went from a very organic feel to one that resembles “that other social networking site” with tons of, dare I say it, tacky flashiness and conspicuous add-ons. I suppose my enthusiasm for Facebook has significantly diminished as of late, not only as a result of graduating but also the huge changes in format. But that is a rant onto itself. The reason for this entry is about something I came across on the site that I have to shake my head and marvel at the complete irony of some Facebook users’ mindset. You might remember, back in 2003, the huge uproar caused by one Dixie Chick’s dissenting words against George W. Bush. Words from one single person said in jest in a London concert made its way overseas and back home resulting in huge controversy. Treason, they called it. Un-American! Traitors! Every single adjective and noun related to unpatriotism was slung against the group. This was in the days before the anticipated invasion of Iraq. It was a time when approval ratings for “Dubya” was high and patriotism was in full swing. 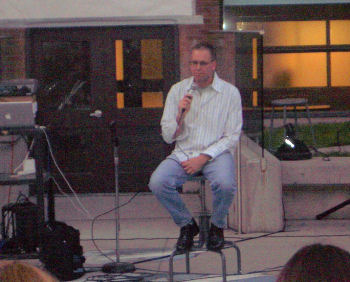 I attended the PostSecret event in Toronto last week, so far the lone Canadian date. Frank Warren, the website’s creator and “The Most Trusted Stranger in America”, gave a lengthy but engrossing talk on the origins of the project, the behind-the-scenes look into how it works, amongst other things, and showed a multimedia presentation. After everything, he signed books for people (yours truly included!). It was quite a turn out!